Were you in the situation when the client was always complaining about the work, changed his mind at the last moment, or wanted to get more for less money? 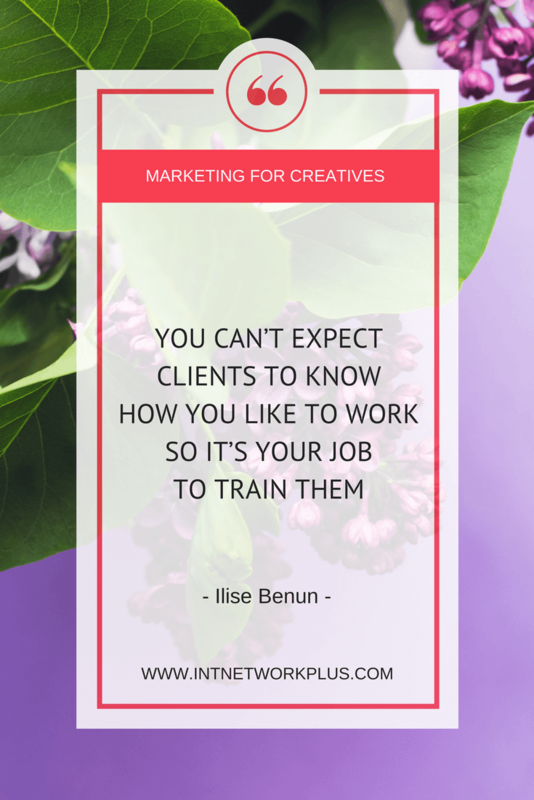 In this episode, we will go through different situations with Ilise Benun to see how you can turn difficult clients into good clients. 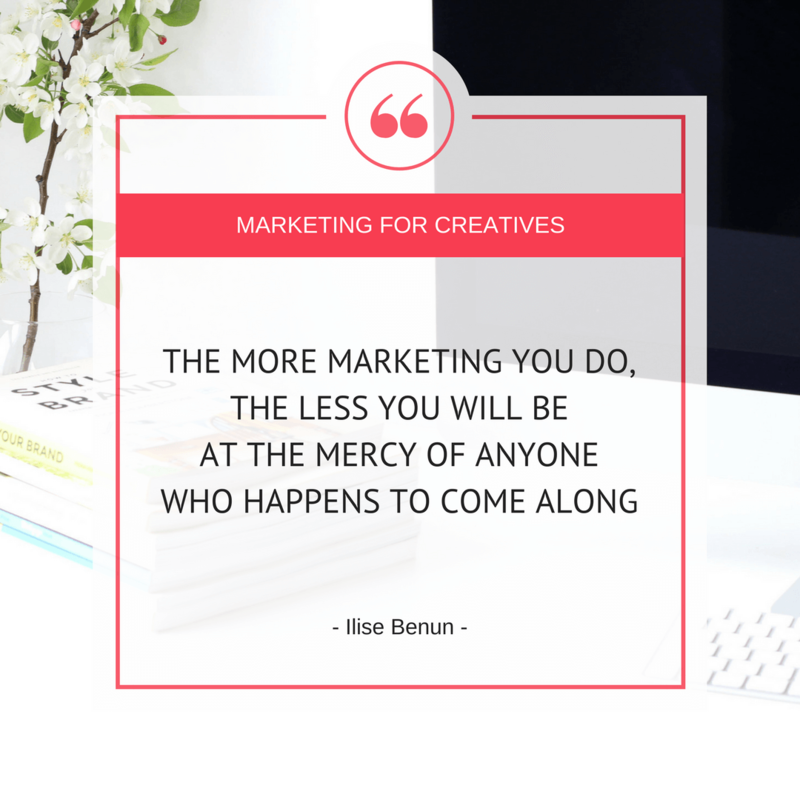 Ilise is the founder of Marketing-Mentor.com, the go-to online resource for creative professionals who want better projects with bigger budgets. She is a national speaker, the author of 7 business books, including The Creative Professional’s Guide to Money, a business coach, host of the Get Better Clients Bootcamp and a Program Partner for HOW Design Live, adjunct faculty at Pratt Institute and Maryland Institute College of Art. Please tell us a little bit about yourself and what you do, how did you come up to this point in your life where you share experience with the creative entrepreneurs? The big picture is that for the last almost 30 years I have been teaching creative professionals the business side of creative businesses. 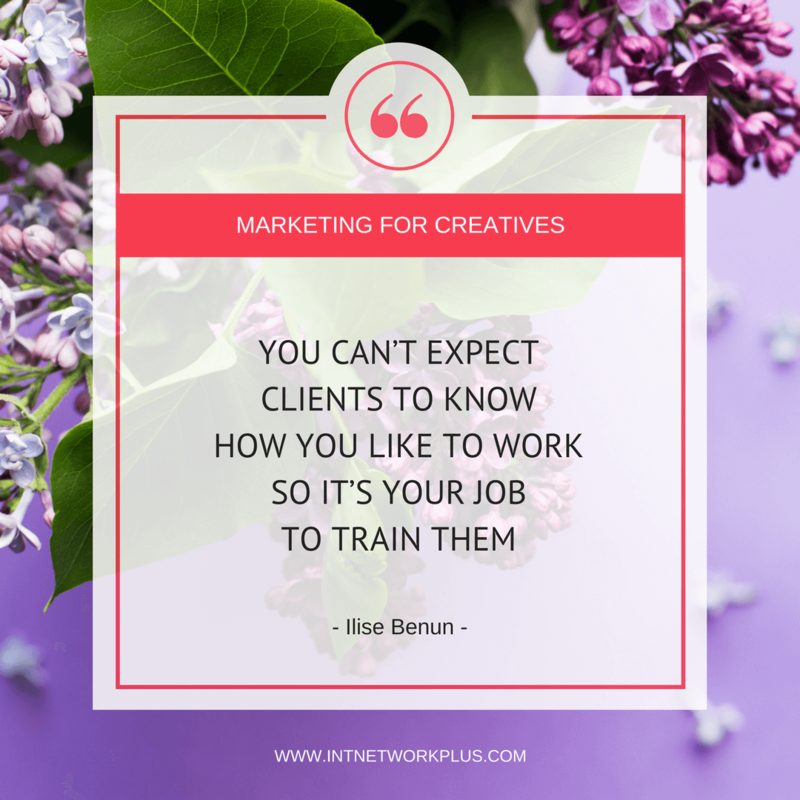 That usually includes a combination of marketing and pricing, and more and more interpersonal skills and helping creatives figure out the right thing to say in difficult situations. It seems like, I don’t know why but in the past, people didn’t need help with that as much but now they do. I teach these things in a number of ways from one-on-one mentoring which is through my mentoring and consulting practice, which is called Marketing Mentor and that’s at marketing-mentor.com. I also have written seven books on the topic of business for creative professionals. I’ve given several online courses. I do a lot of speaking all on these topics and I also create downloadable kits and tools, which I sell in my online store, like marketing plans, sample proposals and a brand new one that’s actually coming out soon called the Tiered Pricing Kit. All of these deliverables are different media and ways to convey the information because people learn in all different ways. So, you’ll help us to learn what to say to our difficult clients today. I’m happy to help with that, yes. How can we prevent working with difficult clients or how to be prepared to work with them? Those are two separate questions. 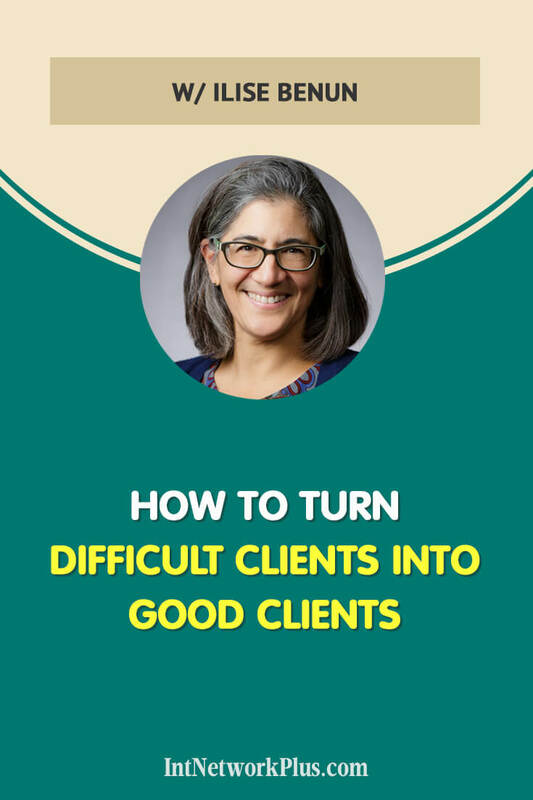 How do we prevent working with difficult clients and how do we prepare to work with them? I think about it as you want to avoid and decline when they find you, the ones that are especially difficult, and weed out from that group the ones that are a little less difficult, kind of harmless and trainable. I do think that clients need to be trained. They need to be trained in the way that you want to work with them and that includes how you get paid, how you communicate, all the different logistical aspects of working together. You can’t expect clients to know how you like to work so it’s your job to train them. Some people can’t be trained and those are the ones to avoid. If we look through different situations, because our listeners meet different clients from time to time. I’ll give you some examples and how about you will suggest to us what can we do in this situation. What do you think? How do you turn this difficult client into a good client? The first thing I’m going to say to all these situations is that it may not be possible, but you can try. When someone doesn’t like the work then a couple of things could be going on. Number one is when it’s not possible to turn them into a good client, it’s because they’re not going to like anything anyone ever does. That’s something you should be able to detect with red flags that come up in the beginning of the process, even before you begin the work, through what I would call your qualifying process where you talk to someone, you give them pricing, you have conversations. All through that process you are basically assessing whether or not they are a good fit for you and you’re going to be able to work with them. Often, I think what happens is people ignore the red flags that come up. For example, someone who schedules a phone call with you and then doesn’t show up for it and doesn’t even apologize for it or perhaps even worse, someone who refuses to get on the phone or on Skype with you because they just don’t have time to answer your questions. Those are all red flags of someone who is probably not going to like your work in the first place. I think you can make that generalization, or you can make the generalization that they’re probably not going to be easy to work with and it’s going to cost you more than you’re going to get paid. The first step in that process is weeding out those people, identifying them and gracefully declining the opportunity to work with them. Now, the people who you can work with, who are trainable in that situation, ideally, you’ve gone through enough of a process by the time you’ve delivered the work and asked all the questions you need to ask in order to create something that they are going to like. It could be your responsibility, your fault if you will, if they don’t like it. It’s not necessarily always their fault: you’re in this together. The response, your response, when someone says, “I don’t like what you did,” is essentially to ask as many questions as you can to find out what the actual problem is. For example, actually there’s a book I know of called Discussing Design, which I highly recommend because it’s all about how to give feedback, how to get feedback and how to talk about the creative deliverable in a way that gets you the information that you need and also helps your client express and articulate what it is they’re trying to communicate. Because often they don’t know and it’s your job to help them come up with the words and the language to communicate what it is they don’t like. Then you use that information and you try again, basically. Do you offer them to redo the work or are you going to charge them? The work is finished already. If they want to change something, it’s going to be extra work. What would you suggest in this situation? That depends. It should be a negotiation, a collaboration, a conversation, something that you agree to together. But if you got to the very end of the project and they don’t like it, then again, I think the problem is in your process because you should know early on if they’re approving or disapproving of the direction that you’re taking. It may mean that you need to show them ideas or show them something and get their approval on that, or their boss’s approval on that, in order to make sure that you’re heading in the right direction in the first place. So, we worked out with this difficult client and we’ve got a new one. Another person comes in, there’s a situation where you don’t have any work scheduled upfront and you need at least someone so you can get some money to pay your bills. There is a client comes to you and because you are in need of the client, you give him a discount. You offer him an extra service. He feels your insecurity, maybe not even realizing that so he asks more and more, complaining about small things and you are ready to get rid of this client but you understand that if you do that, it will hurt your reputation. What do you do with this person? It’s very difficult to discuss this in the abstract but I will try. The problem, first of all, is that you take a client and give them a discount when you’re in a very needy position. 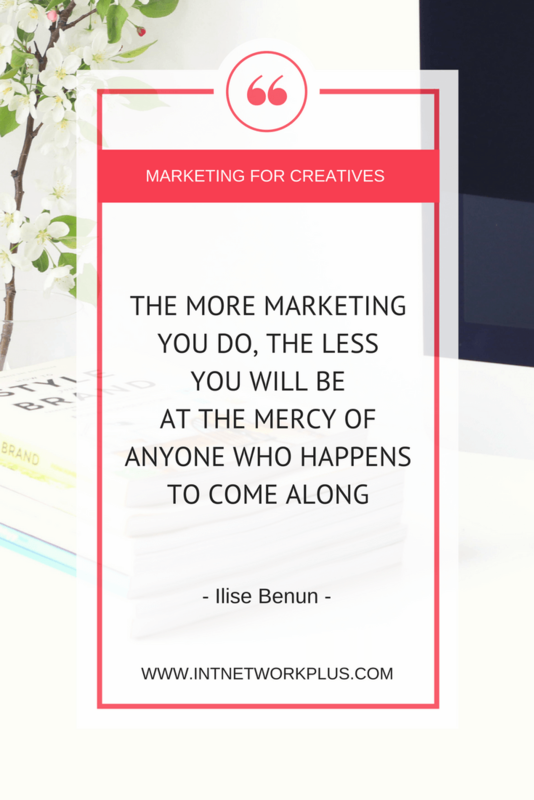 It’s a whole other topic but marketing is the answer or the solution to that problem because the more marketing you do, the less you will be at the mercy of anyone who happens to come along. I’ll go with your premise and you had to take that client because you needed the money and you gave a discount. Now they’re becoming a difficult client and the situation, as you’re saying it, is that you want to cut it off but if you do that, it will hurt your reputation? You need to do something. You need to figure out the situation. Right, but if they’re asking for more then that’s going to cost more and you have to make that clear. It may work. What if the person does not have the contract or anything? Let’s say a makeup artist, they come to the wedding, they do the makeup and the bride says, “Can you do makeup for my friends too? Can you do it cheaper?” Or, “Can you do it cheaper for me.” You’re already there. No. You really have to have a backbone in those situations. Whether it’s in writing or not but again, it should be in writing. Then you let them decide. That’s fine and that actually happens quite a bit. Basically, they’re going to either have to pay for what they got and then you’re going to give them an estimate for something else and it might be a slightly discounted estimate because you’ve already done some of the initial upfront work, maybe, and if you haven’t then you’re going to have to charge for it. That is a situation where if the client changes their mind, they still pay the price for what you did. Ideally you have gotten a deposit, 50 percent is standard. You use that deposit as what we call a kill fee, which is the fee you get paid to kill the project if they decide to not move forward and/or want to go on to something else. That’s a last resort situation but if the client changes their mind and wants something different, that’s not your problem, that’s theirs. You have to make it clear that yes, you’re happy to do something different and here’s the new proposal for that. You mentioned several times about the contract or the documents you sign and the deposit. Some people they do this, but for some people the business is kind of a hobby so they don’t really consider it as a business, and because of that they don’t really have contracts. What can they do then? They should take it more seriously and/or pay the price of treating it like a hobby which means they may not get paid sometimes. Let me also say that when I say contract, I don’t necessarily mean an official legal document that a lot of people seem to be intimidated by. That way they know that if and when they pay the deposit, you are going to get started. Otherwise there is often a very fuzzy line between when the project starts and when it hasn’t started yet. They may assume that you’re going to work on it just because they said yes even if they haven’t paid the deposit. The deposit really serves as something like a bridge that everyone has to cross together to get into the project. Basically, you suggest to have something written either as an email or signing a contract or a message just with some basic agreements. Ok. We worked with this client. Let’s go to another one. We get another difficult client. You talk to him before the project. You confirmed everything. You thought that all was clear but when you finish the client says, “This is not what I meant. I told you to do it in another way.” Or he gave you more freedom to do as you like and again, after finishing the project he says, “I thought it would be different,” and the changes you need to make are significant. Miscommunication happens all the time. The way to avoid it, which you cannot do 100 percent of the time, but the way to minimize miscommunication is to be in writing as clear as you possibly can and get their agreement that this is what they asked for and this is what you’re going to deliver. But as you say, sometimes there is still a miscommunication, in fact that happened to me last week. I have significant experience in this. I was the one who… Actually, what happened was I hired someone to do a project for me and then we adjusted the scope a little bit to take something out, not to add something, that wasn’t going to work. My understanding of what she was going to do instead was different from her understanding of what she was going to do instead. I asked a question, I didn’t say, “You didn’t do it right,” or, “This is not what I asked for.” I think that’s really important. Because I do think questions are the answer to everything. When in doubt, come up with a question you can ask. It’s much more disarming. She wrote back and she said, “My understanding was that you wanted this so we obviously had a miscommunication,” and she apologized. That’s a good technique, is apologize for your part in the miscommunication. I actually also said, “I get half the credit for the miscommunication,” because I think that both parties are responsible in that situation and so both parties have to give something. She was very generous. She said, “Yes, I’ll do what you thought I was going to do.” And I apologized too. You kind of found a balance in this situation, something from you, something from her. Ok. Let’s go to one of the typical situations. When people come to you and the client says, “We needed it yesterday. Can you do it fast?” and they worry about the project. To me this is not necessarily a difficult client it’s just someone in a bind. They’re in a situation and they need your help so you also again have the leverage because they need you. Again, they decide. If they want it tomorrow, they’re just going to pay for it. That’s fine because you’re going to get paid. Isn’t that a simple solution? It is, but they don’t often want to pay more. You just let them go. Yes. You get what you pay for, right? You might, also in that situation, remind people that if they end up going somewhere else and paying less then the quality may not be as good. That’s all. That’s their choice. Basically, you just describe to them that, Ok, you can go there and get it cheaper but it won’t be as well as I can do. Or you can pay extra. You don’t know, because you don’t know who else they’re going to be talking to so you can’t guarantee anything but you can only guarantee that for the price that you are charging, you will do a good job. Exactly. Some people position themselves as the one who turns things around quickly because more and more, that’s what people seem to need. There’s a price attached to it, that’s all. There used to be such a thing as ‘rush charges’, but people don’t charge rush charges, from what I can tell, anymore. Still, they price rush charges without calling it rush charges because there has to be a price if they’re going to get an extra service or an extra quick service. There has to be a price for it, otherwise you’re setting a really bad precedent that that’s how you’re going to work at a certain fee and then they’re going to expect that all the time. 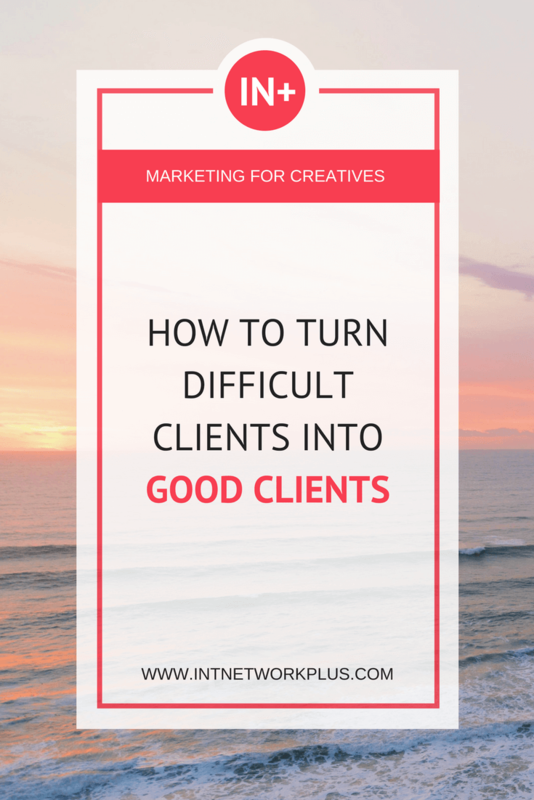 Let’s look at another difficult client. They want to get your 100 percent attention. They come to you with a project and you describe that. Then all your communication when you talk to them, it’s 20 percent of the work and 80 percent of nothing valuable. They discuss things over and over again, even if everything was decided already. They call you every time to check how it’s going. They send you emails, messages for no reason, just to share what happened in their life. Usually women do this. What do you do with them? They want to be 100 percent involved in the process, in the work, everywhere. First of all, this is what I meant before when I said you have to train your clients. In this case you’re talking about training them in terms of the way you communicate and the way you go through your process. You need to, from the very beginning, make it clear that the phone calls, in this case you probably need to have an agenda for a phone call so that anything that strays from the agenda is clearly not part of the phone call. Very gently, sometimes a little less gently depending on how distractible they are, you have to keep bringing them back to getting done what actually needs to be done. That is a training process. Some people can be trained, some people cannot be trained, some people are dying to be trained, but you have to figure that out at the beginning before you agree to work with them. That sounds like the type of person who also you need to charge more whether they know you’re charging more or not, it doesn’t matter, but they’re going to take more of your time and require more of your efforts either way. You need to be able to flag them up front. Do you have any recommendations on how to guide clients, how to make them talk on point more? It depends on the person you talk to. Sometimes you talk to the person and they’re just like too much talking and you cannot say anything. Sometimes those conversations need to be had in writing, because someone who talks too much is probably not going to write too much. Sometimes they will but it’s a lot more effort for them. I would try interacting either via text or Skype chat or email or something where they have to put more effort into it. That means you don’t have to sit there and listen, you can just wait and read when the thing comes in. That’s one option. You have to interrupt them. Those are people who probably don’t even realize that they’re going on and on. She came back, she was very funny about it too, but I think people aren’t aware that they’re doing that. It’s your job, if you want them to stop, to gently figure out diplomatically how to rein them in without offending them. You really have to be much more proactive and lead the conversation otherwise they’ll take it and run with it. What do you think about, you said sometimes to turn to writing, like emails or messaging. But some people suggest that to sell you’re just talking to people face-to-face or on the phone. It’s easier to sell or it’s better to sell when you talk to the person instead of just writing something. It depends. I agree that sometimes it is easier to sell in real time but if you’re trying to sell someone who is so distracted and all they want to do is talk, I don’t know. That is a little tricky and you have to find a way. Maybe you just listen. Maybe they just need to be listened to and that’s part of your job. Again, you build it into the price. (Laughter) Okay, I will listen to you but it will be more expensive. Exactly. Sometimes you can even tell them that. Maybe that will change their behavior, I don’t know. Usually when you put a price on something, people suddenly notice it and change. Again, that is not a difficult client. That is squarely and 100 percent your fault for not being clear about how much they were going to pay and what you charge for. I’m not saying you have to tell them that you charge for talking but you have to make it clear, and this often happens when you’re charging hourly and then people don’t know that every single thing you do is billable. That has to be clear. But my more important recommendation there is not to charge hourly and to give them a fixed fee that is based on an accurate, realistic estimate of how long it takes for you to do something and then here’s what you get for that fee. That way, you totally eliminate the possibility that they say it’s too expensive because they knew what it was going to cost, they paid the deposit, and they signed the contract or agreement. There are no surprises. When you have surprises, it’s your fault. We looked at seven different clients. Some of them you say aren’t difficult clients but do you have examples of really difficult situations or anything common that I missed? One of the things that is kind of implicit in some of the different situations that we talked about is the idea of pushy people. Not necessarily abusive, not bullies but people who are just pushy. It’s very challenging. I would say, for people, creative people especially, to stand up to people who are pushy because a lot of creative people are people pleasers. They want their client to be happy. And then you shut up and let them decide whether or not they can abide by that. It really requires a backbone and to move away as much as possible from this idea of everybody being happy. 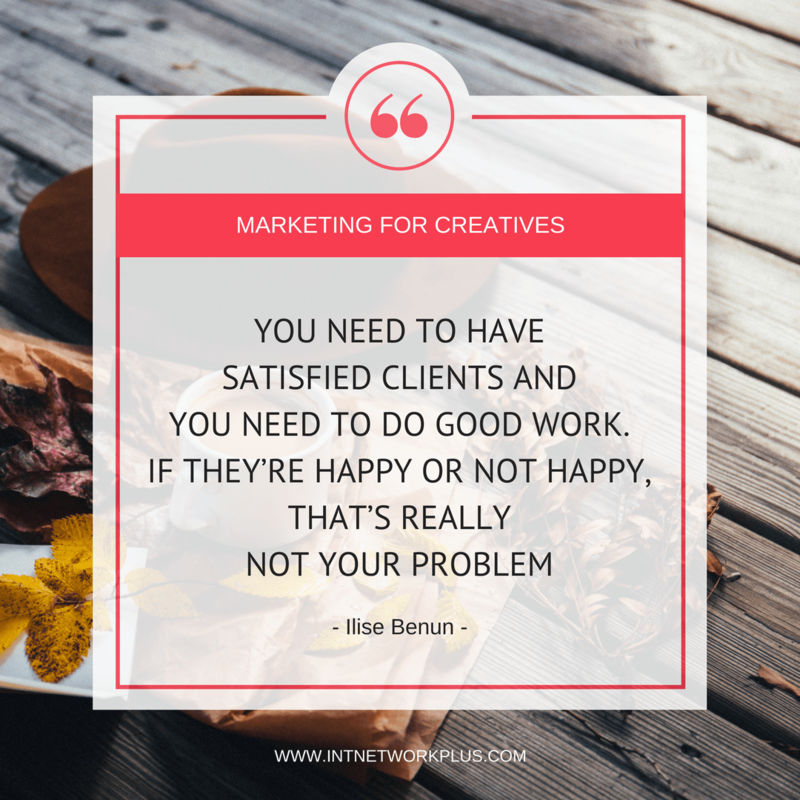 I don’t think you necessarily need to have happy clients. 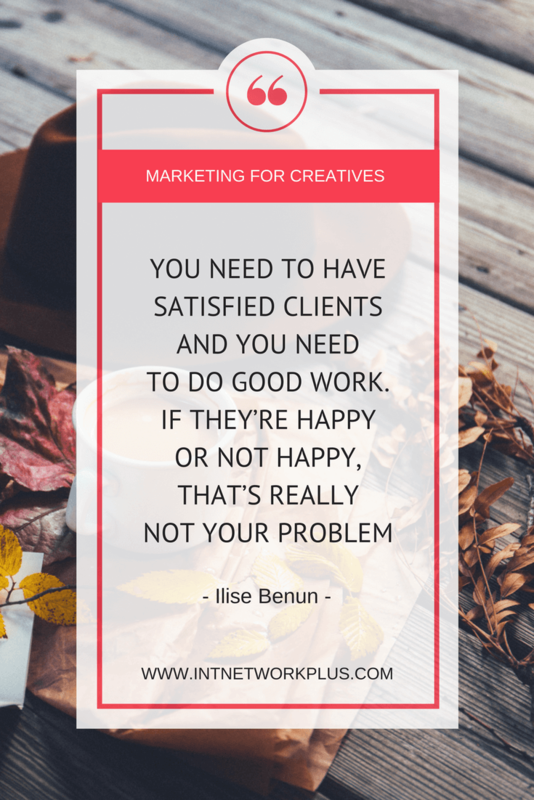 You need to have satisfied clients and you need to do good work. If they’re happy or not happy, that’s really not your problem. That’s interesting. Could you give us some more directions on how to deal with different clients? What are the three key actions our listeners could do when they got the sense that this person will bring the problems? The first one is really always listening. You have to listen carefully to what the other person is saying. Sometimes you have to listen for what’s underneath what they’re saying, what they may not even be aware that they’re asking for or implying. Then you have to ask questions. You have to use curiosity to get as much information as you can out of them. Then you have to make your own decision about whether or not this is someone you want to work with because I think it’s easy to blame the clients for the difficulties. You really have to take control or take responsibility for as much of the interactions as you possibly can, which often means saying ‘No’ to certain people and finding better prospects and better clients, and that requires marketing. Fantastic. Thank you so much Ilise. That is awesome. Could you share with us how can we connect with you or find more about you, or what projects are you working on? My main hub website is marketing-mentor.com. You can also find me on Twitter @ilisebenun. That’s I-L-I-S-E-B-E-N-U-N, my full name, on Twitter. I don’t really spend too much time on Facebook. What project am I working on? I’m programming right now the HOW Design Live conference. That’s going to be happening at the end of April into early May in Boston 2018. It’s the biggest design conference for designers in the US. That’s something that I’m part of, on the programming team. We’re choosing speakers and developing the program, that’s where my head is at the moment. Although I’m also working on the Black Friday bundle, which is a bundle of products I sell in late November in my online store. If anyone’s interested in that, they can sign up for my quick tips at marketing-mentor.com. Perfect. We’ll put everything in the show notes. That was a very good talk today, thank you so much.